This is the first screen you see after connecting. The top part of the screen displays a tree view of the security highlighting where there are differences. It is a 1 click to inherit or remove inheritance from an item. 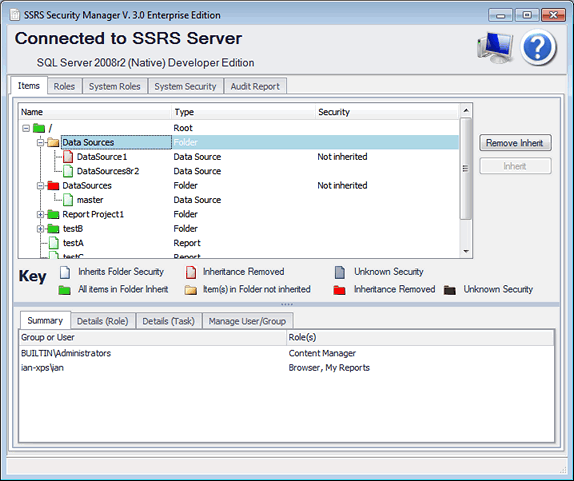 In the lower part of the screen is a security summary of the selected item.